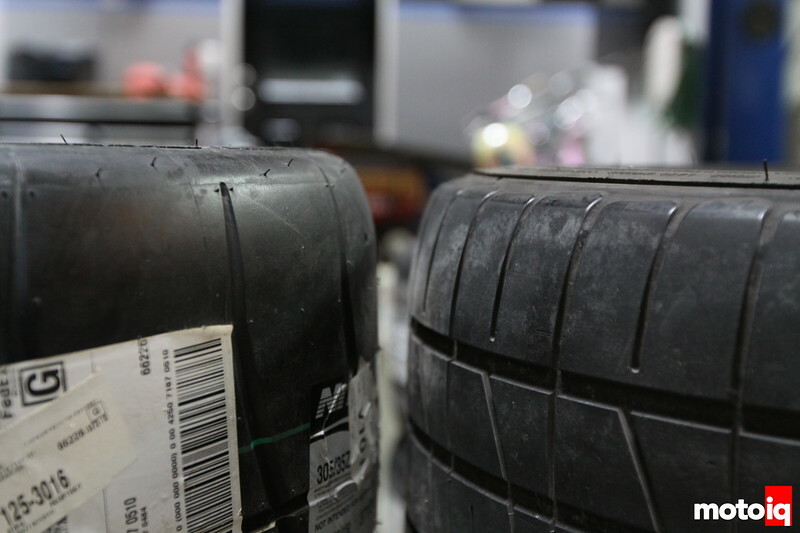 It’s time to give the passionate MotoIQ readers an MKIV Supra update, which today involves a set of Nitto NT01 tires. Over the past 12 months I’ve been so wrapped up getting my new automotive dealership business off the ground that I haven’t been able to feed my passion for cars, let alone give any love to Project Supra. Sadly, I have to report that Project E46 BMW M3 left my household last January to make room for my new business endeavor. Fortunately, the BMW has stayed in the family. It turned out that, during a visit here (Kansas City) from California, my father decided to buy it and take it back with him. I’m just glad I’ll be able to see it from time to time; as that is one awesome car with an engine I’ll forever be amazed with (EDIT: he sold it to a nice gent in Seattle, WA three days after this article went live. He loved the car but said the clutch was a little too much for his 71-year old leg, and therefore decided to keep his similarly powered SMG. Sad times. Bye bye, Project E46 M3). The Supra is still with me, however. Every now and then I’m asked if I’d sell it, but until I get offered a price that would make me want…well, “want” is the wrong word…more like “willing” to let it go, I have no interest in doing so. While I feel like I’m pretty much finished modifying the Supra, and don’t have plans of making it more powerful, I’ll be adding some bits here and there to further enhance the driving experience. The latest addition to the long list of the modifications is a set of Nitto NT01 tires. 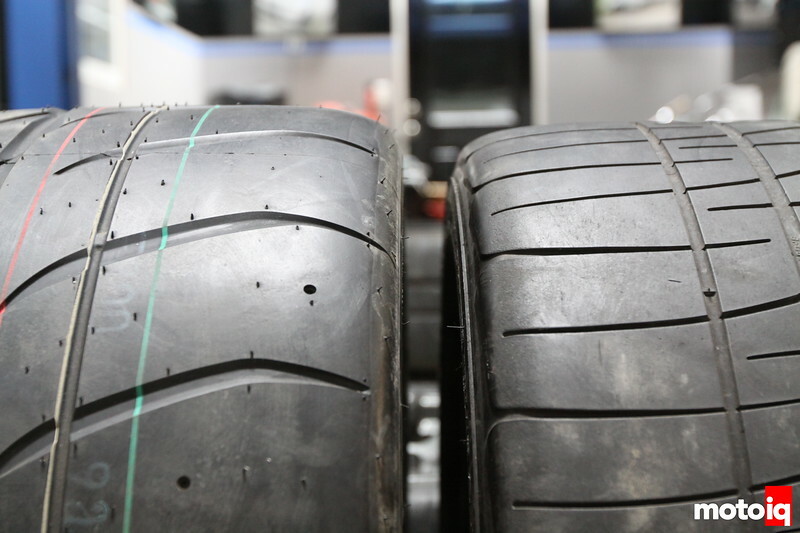 You may recognize these tires from a recent tech piece on Project GTR (R35). To be honest, unless I’ve attended a press gig on tires, and been given gobs of geeky tech information to write with (and I’ve been to a few of these events—they’re awesome), I’ve found it hard to get excited to write about tires. Yeah sure, they’re pretty much the most important modification on the car, where the “rubber meets the road.” Yes. Of course! But that doesn’t mean they’re always the most exciting components to write about. Today, ladies and gentlemen, allow me to eat my words, thanks to the Nitto NT01. Nitto offers three D.O.T. compliant competition tires. Two of them, the NT05R and NT555R, are drag radials, designed to optimally operate a quarter mile at a time, but can be used on the street. 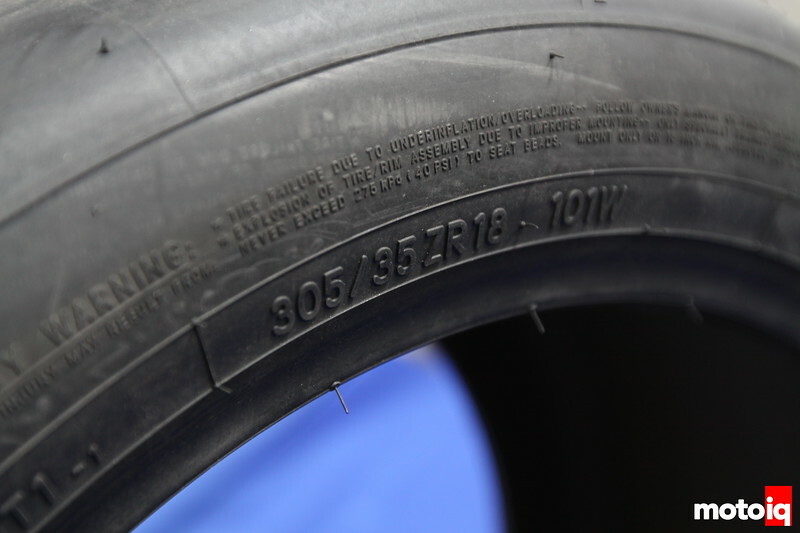 The third tire is the NT01 pictured above, which is designed for road racing. The NT01 radial tire has huge continuous tread blocks and lateral grooves that help the tire handle predictably and consistently under dry conditions. This is a shot of one of our rear tires, sized 305/35-18. Since I’ve been out of the game so long, and these tires are so good, I feel like I’ve missed some major development in the tire technology world. You know that scene in the movie Shawshank Redemption, where Red gets out of prison after 50 years, and can’t keep up with the world? That’s how I felt when I first got into the Supra with these newly-mounted tires . They’re nothing short of amazing. Were other tires this improved as well? What just happened? Our primary reason for a tire change was to get more grip. This was going to be achieved by increasing the width by one size, and not changing the profile percentage so as to also increase the circumference, which was even more important. By going taller, not only would we have a greater improvement in the contact patch, but our gearing would get taller. Each rear tire weighed in at 32 lb, while each 245/40-18 front weigh 27 lb. Keep in mind, I didn’t upgrade from any street tire to the NT01. Both the M3 and the Supra were rolling on the BFG G-Force Rival—the 200 UTQG tread-rated tire that started the “extreme summer performance” tire category and opened up the doors to street-rated tires for racing over the past few years. The Rivals were way grippier than all of the Summer high-performance tires I’d experienced. I had even attended the BFG Rival press event years ago at the NOLA Motorsports park and was blown away by how close the Rival performed against BFG’s R1 R-compound tire on the racetrack, skidpad, and autocross. They had everything there to objectively compare, including G-force testing. I knew these were good tires. I can’t imagine what the press day for the NT01s must have been like, however. The little experience I have in them so far…it’s laughable. Honestly, I’m starting to wonder about the limits of my driveline components now (hint). Going one size wider in the rear added about 1/2-in greater width. On the left is our new 305/35-18 tire compared to the previous BFG 295/35-18. 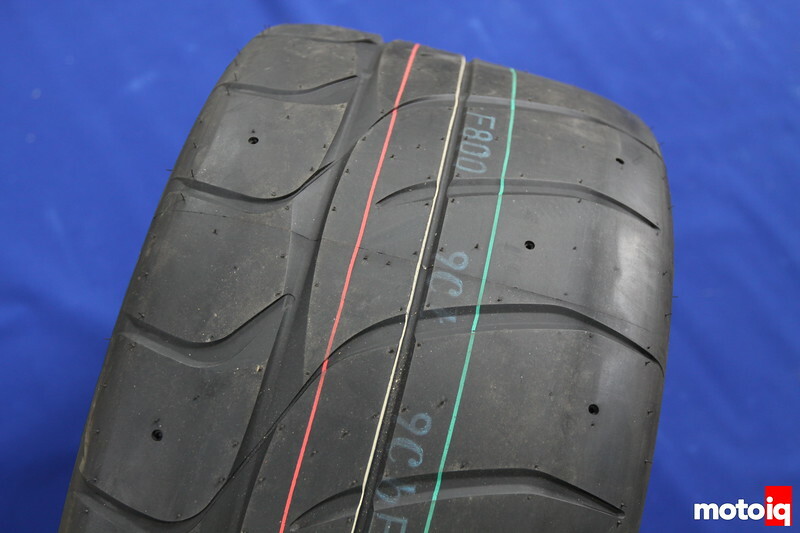 Even if the two tires were the same, our greatest improvement in straight-line performance grip would come from the overall circumference (i.e. going taller). And check out them outer blocks on the Nitto tire on the left! Yep, NT01s are good tires but they have been around for almost 14 years? The Rival is a much newer tire so I guess I don’t understand your Shawshank reference. It’s really the difference between an “Extreme Performance Summer Tire” and an “R Comp”, and yeah it’s a big jump. I saw lap time decrease 2-3 seconds on a 1:40 lap on my E36 M3 when I switched from Direzza Z2s to NT01s. I don’t have good data but the Direzzas lasted forever, I got something like 18 track days from them. The NT01s I think I get less than 8 maybe more like 6. So it’s a huge difference in tread wear is what I’m finding. But it’s very hard to go back to a significantly slower tire even if running costs will be much cheaper haha. Road noise is terrible with the NT01s but it comes with the territory. Oh I forgot the best part, Amazon Prime has NT01s! Very useful when you have a few days between track weekends and find you have corded tires. I’m surprised you feel the NT01 are that much better than the Rivals. While it’s not a direct comparison, I found RE-71 to grip better than NT01 when I had them. The NT01 were wider as well. Only reason why I think you found the NT01 to be better is because you have the older BFG Rival’s and not the Rival S’s. And well your Rival’s may be heat cycled/worn. I wish to hell they still sold the Rivals in 295/35/18, the selection in that size absolutely blows. It’s no mans land as far as tire width goes. Damn, that 50-70mph time is solid. @MDR-they have been around for a while. I don’t think as long as you say but if I’m not mistaken the first release was 2010 with some sizes. I just had no experience with Nitto until now. My Shawshank reference was more along the lines of my being in this “prison” of lower performance while others were enjoying tires like these, all the while I’m just fishtailing everywhere and all day at anything sub 80mph. I enjoyed the Rivals actually (really enjoyed them on my E46 M3, they were great! ), but yeah the NT01s are at a different level. I expected the difference to be smaller since–when I tested the BFGs against the R1 compounds back-to-back–the difference between the Rival and an R-compound wasn’t as large as I’d thought (kudos to the Rivals–or maybe some can argue anti-kudos to the R1). And yes anything on Amazon is a great thing! @Dustin, I didn’t know they’d even discontinued them. I’ve been out of the tire game too long, driving only 2-3k mi per year with the Supra, hence not needing tires. Hey, your car may be worth more very soon. The 2019 Supra is a BMW. Sad. BTW, Paul Walker died in a Porsche Carrera GT with 7 year old tires. Always buy fresh tires.